UNIQUE COMBINATION. 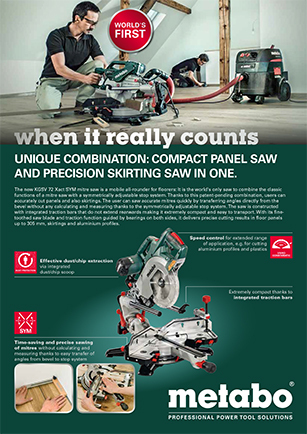 COMPACT PANEL SAW AND ACCURATE SKIRTING SAW IN ONE. 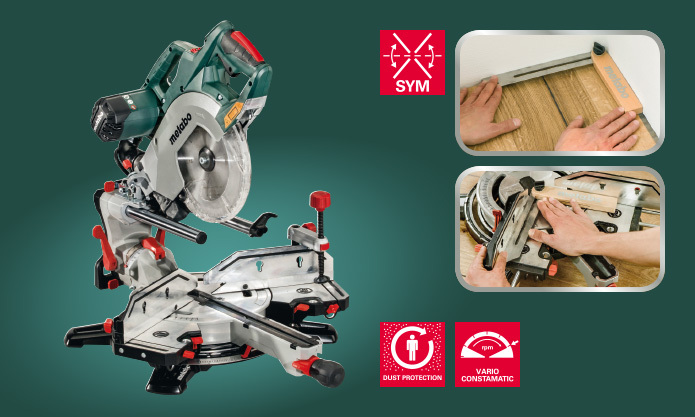 The new KGSV 72 Xact SYM mitre saw is a mobile all-rounder for floorers: It is the world's only saw to combine the classic functions of a mitre saw with a symmetrically adjustable stop system. 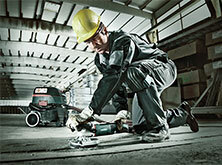 Thanks to this patent-pending combination, users can accurately cut panels and also skirtings. The user can saw accurate mitres quickly by transferring angles directly from the bevel without any calculating and measuring thanks to the symmetrically adjustable stop system. The saw is constructed with integrated traction bars that do not extend rearwards making it extremely compact and easy to transport. With its finetoothed saw blade and traction function guided by bearings on both sides, it delivers precise cutting results in floor panels up to 305 mm, skirtings and aluminium profiles. 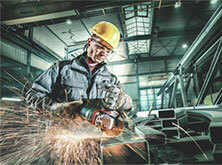 Download here the flyer "Mitre saw KGSV 72 Xact Sym (1MB)".